Numsa opposes Eskom split - SABC News - Breaking news, special reports, world, business, sport coverage of all South African current events. Africa's news leader. 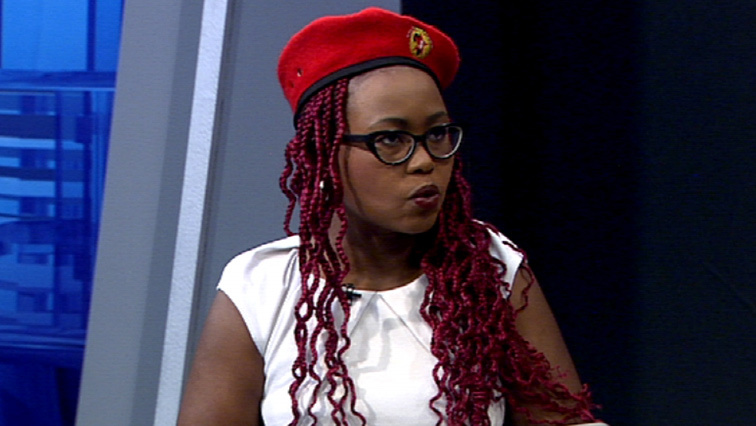 Numsa spokesperson Phakamile Hlubi-Majola says by splitting Eskom, goverment is going the route of privatisation. The National Union of Metalworkers of South Africa (Numsa) has criticised President Cyril Ramaphosa’s restructuring plans for power utility Eskom. Ramaphosa announced during SONA on Thursday that Eskom would be split into three separate entities – generation, transmission and distribution – each of which would still fall under the company Eskom Holdings. Speaking to the SABC, Numsa spokesperson Phakamile Hlubi-Majola says by splitting Eskom, government is going the route of privatisation. “Privatisation results in massive job losses and is not beneficial to the consumer because it results in higher prices,” says Hlubi-Majola. She says the ANC has grounded Eskom to the brink of collapse and they are deliberately ignoring all other avenues available to them and choosing to go for privatisation. This entry was posted on 08 Feb 2019,11:42AM at 11:42 AM and is filed under Business, Homepage Latest Stories Slider. You can follow any responses to this entry through the RSS 2.0 feed. Both comments and pings are currently closed.